A lot of my downtime is spent with my daydreaming about where I’d like to retire. I take time to research the cost of living, weather, and, most importantly, nearby hiking trails. I have considered places like New Mexico, parts of California, Colorado, and on rare occasions, Florida. However, I ran across an article this morning about the top 9 places you can retire or move to and possibly not have to work. I clicked that link so fast I almost sprained my pointer finger. Some of the places were Nicaragua, Beliz, Thailand… but the number one spot was Carvoeiro, Algarve, Portugal. I have seen a lot of photos over the year of Portugal and I don’t remember any of them being ugly. It seems like a beautiful country. I read through the description and price points and immediately Googled images. I was a little blown away. How can some place that looks like this be so cheap? I went through the photos and it is just gorgeous there. The next step was to research some vacations. The AirBNB prices were also inexpensive. So much so that I may considering going there next year for a vacation. I need to check this place out. And finally… hiking. I found a site that focus on hiking in Algarve. I mean… wow. If you take the time to click the link and check out the hikes and walks they are pretty cool. There are some mountains, countryside, and coastal hikes. A great variety. I sat here this morning and closed my eyes, clicked my heels, and asked to be taken there. Needless to say I’m still sitting at my stupid desk. I almost hate to even publicize this place. What if I am what causes it to be so popular the prices all go up and I can’t retire there in 6 years? No, I won’t be retirement age in 6 years but that’s when my son will go to college. There won’t be such a big need to earn so much money or stick around in my area. Do you have a dream retirement spot? If so, share it with me. I’d love to hear other places that may be a great location. For the past two years my kids and I have gone hiking for a couple of days during spring break. This is the only time I get to spend uninterrupted time with them as they are both so busy with their sports. This year, unfortunately, it will just be my son and I. My daughter will be visiting Peru during spring break and doing both volunteer work and visiting Machu Picchu. I am incredibly jealous because Machu Picchu is number one on my list of places to visit. Alas, I could not afford to go with her as her trip will cost plenty. I am, however, very happy that she gets to go and experience that culture. Hopefully she realizes just how lucky she is. So my son and I have been working out where we want to go. The places that have crossed our lips are The Grayson Highlands, New River Trail, Kentucky areas, Sand Cave in Virginia and others. I think we are finally narrowing it down. The sand cave is number one on our list. I’m not sure if we’ll make White Rocks as well but the cave is a sure thing. Next on our list is Mammoth Caves. I have to remember to ask my parents if we visited there when I was little. I remember a cave of some sort but am unsure of which one it was. We have now added Breaks Interstate Park to the list. The park looks amazing and they have a lodge where we can stay and it is pretty inexpensive. In talking to my son the other evening he said he is ready to have “legs of steel” after this hiking trip. What he doesn’t realize is that it is a lot of driving but I’ll manage. I want him to have a memorable trip and I want some amazing photos as well. A couple weeks ago my son declared, “No!” to camping in a tent. Just yesterday he changed is mind again so I guess we’ll be planning something for that next spring/summer. 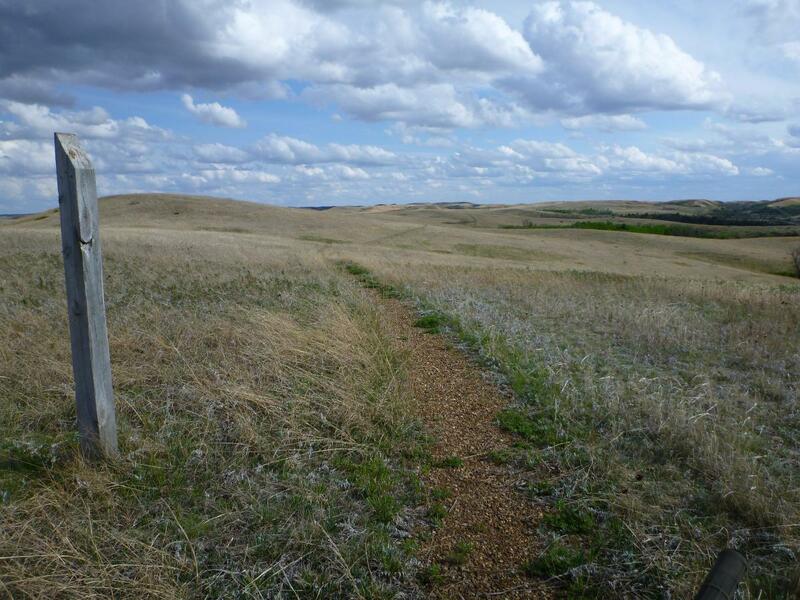 And just like that, the Maah Daah Hey Trail in North Dakota is on my list. I was reading an article on Outside Online that talked about this trail. I hadn’t heard of it before but it seems fascinating. So often I desire to hike where I can take in a view or a mountain. If you’ve been to North Dakota before you know that there are not mountains like you would see in the Rockies, Smokey Mountains or even my Shenandoahs. The highest peak is just 1,056. I remember a bit about having been in North Dakota when I was little. I remember the wide open spaces. I remember the prairie dogs. I remember bits and pieces of other things and those memories combined with reading about this trail has moved this to higher on my list. I haven’t ever been backpacking with a tent. I’ve been backpacking and stayed in hostiles in New Hampshire on the Appalachian Trail. I think I could maybe take on that adventure for this trail. The campgrounds are 18 miles apart so you’d really need to plan ahead and make sure you had water and were in shape enough to reach the campsites before dark. I imagine that hiking in wide open spaces could make one feel like they aren’t getting anywhere fast. I think I would love it – especially during sunrise / sunsets. My hiking list is very long. Someday I’ll actually knock one or two off of that list.